Precision forging is worked in a close to final shape or close-tolerance forging way. It is a refinement forging techniques compare to traditional closed die forging technology. When you need a product with near net shape or net shape, precision forging is the right choice to source, such forging technic will refine the product to little or no machining. There are lots of differences between precision forging and Conventional closed die forging method. Closed die forging may required full machining on the surfaces of products. Main characteristics of precision forging are: slight draft angles, close tolerances, small radii, and perfect surface finish. Also like Conventional closed die forging, precision forging will require forging dies/mould to guarantee the precision degree. 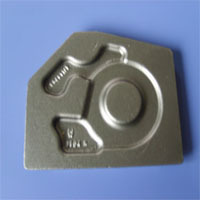 And the requirement of precision forging is much higher, so it will cost more to produce and maintain the dies/mould. Additionally, cost is a main factor in precision forging,cost of precision forging will mainly be affected by both time and labour factors. 1) High material utilization. As there is no flash in precision forging, according to the designed processes, material will be forged into desired shape after plastic deformation. Some parts will require only a small amount of machining after forging, and some can be put into use directly, no machining is required. 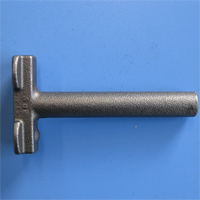 Such as five tons of truck drive shaft and cross shaft, common forging process may require laying off 1.69 kg material per piece, howeve precision forging materials only need about 0.9 kg per piece. 2) Good working performance. 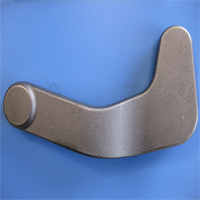 Parts produced by precision forging,the metal fiber is evenly distributed along the contour shape, dense and continuous. For precision forgings without flash,there will not exsit leakage of metal fibre that caused by removing flash, this will be good for improving stress corrosion resistance and fatigue resistance of products. 3) Complicated shape parts are available in precision forging. 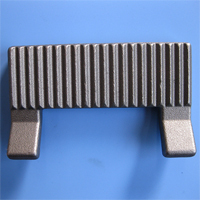 We all know that conventional closed die forging process is limited to produce parts with simple shape. 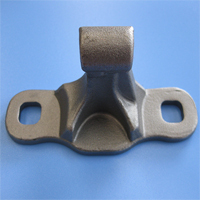 However, in precision forging process, more complex shape is allowed, which is the same as casting. 4) High precision. After precision forging, we will get net or near net shape products, such high precision will require just very little or even no machining job. 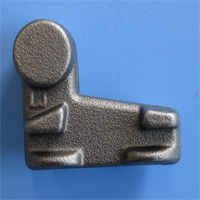 As the precision forging manufacturer and supplier in China, we offer OEM service and exporting service for customers from USA, UK, Australia, Canada, ect. 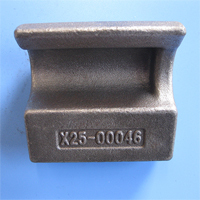 Such precision forgings are mainly involved in automotive components, agricultural machinery parts, railway components, mining machinery parts. In addition to forging, we can also provide other services like machining, heat treatment, surface treatment, custom package, ect.